Earthfall will see a full release on July 13th for PlayStation 4, Xbox One, and PC. It's been in Steam's Early Access program for some time, though, so it's not necessarily an unknown quantity. While Steam's user rating system is notably fickle and subject to change, the game has currently garnered a "Mostly Positive" rating on the platform, which isn't easy for an Early Access title. 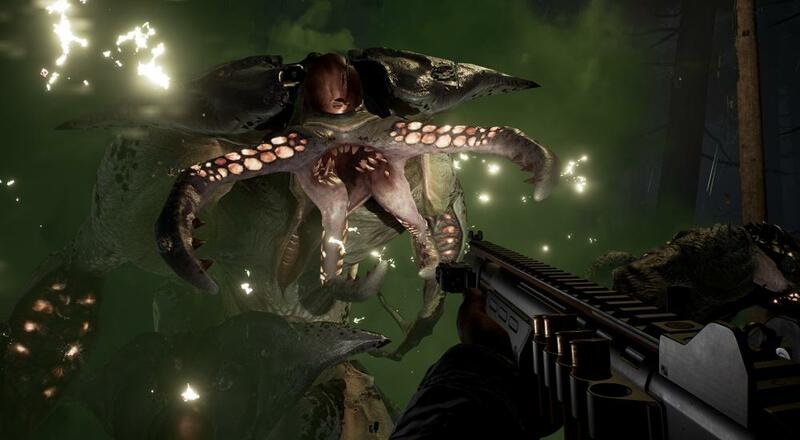 I was a huge Left 4 Dead fan back in the day, and since Warhammer: Vermintide 2 has partially filled that Valve-shaped hole in my heart, I'm hopeful Earthfall will make me feel complete again. It may be a bit too much pressure to place on Holospark's first game, but the studio's members claim a pretty diverse pedigree, with work ranging from Bioshock Infinite to Dawn of War III. We'll find out out how well those experiences come together in just over a month. Page created in 0.4226 seconds.